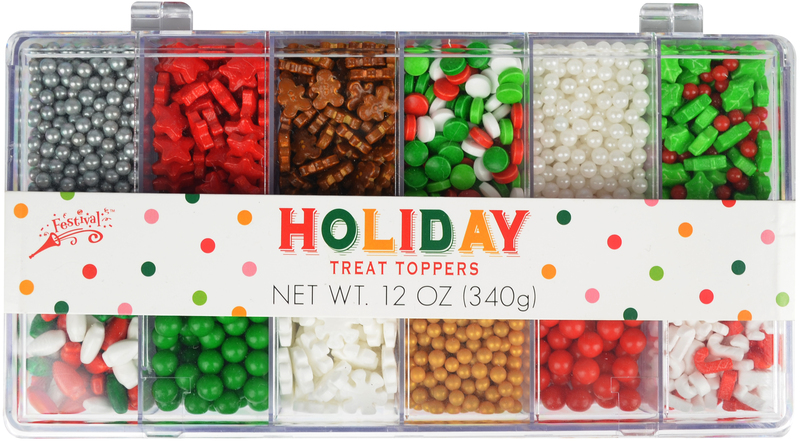 Decorate your favorite holiday treats with this festive selection of sprinkles – there’s something for everyone! 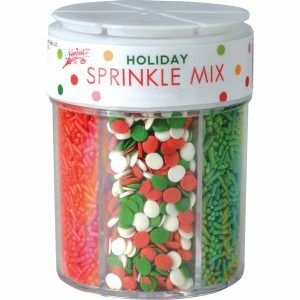 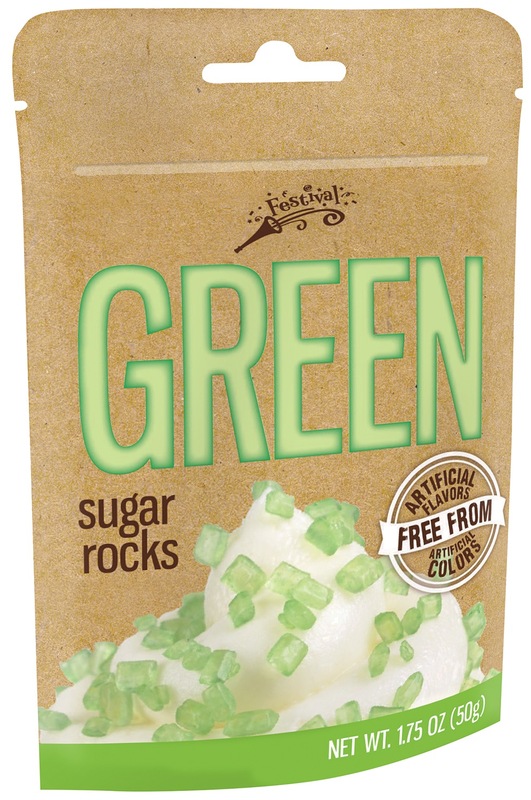 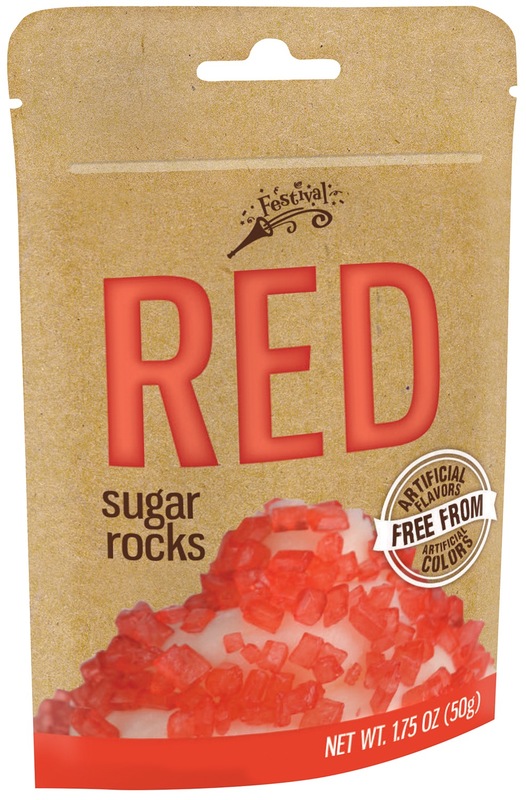 Sprinkles: Sugar, Corn Starch, Partially Hydrogenated Vegetable Oil (Cottonseed and/or Soybean), Contains 2% or less of the following: Soy Lecithin, Dextrin, Confectioner’s Glaze, Carnauba Wax, Rice Flour, Gum Arabic, Cellulose Gum, Carrageenan, Natural and Artificial Flavor, Yellow 5 Lake, Yellow 5, Blue 1, Blue 1 Lake, Red 40 Lake, Yellow 6 Lake. Nonpareils: Sugar, Corn Starch, Tapioca Starch, Palm Oil, Xanthan Gum, Artificial Flavor, Titanium Dioxide Color, Red 40, Yellow 5, Blue 1. 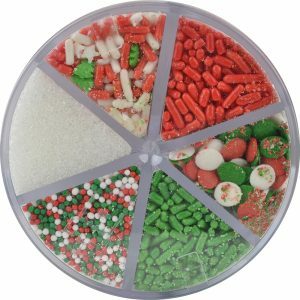 Sugar: Sugar, Corn Starch, Confectioner’s Glaze, Yellow 5, Red 3, Carnauba Wax, Blue 1, Red 40, Yellow 6, Blue 2.